Hi friends! I just got back from rsTheCon here in Dallas and I am so grateful that I got the opportunity because of YOU! 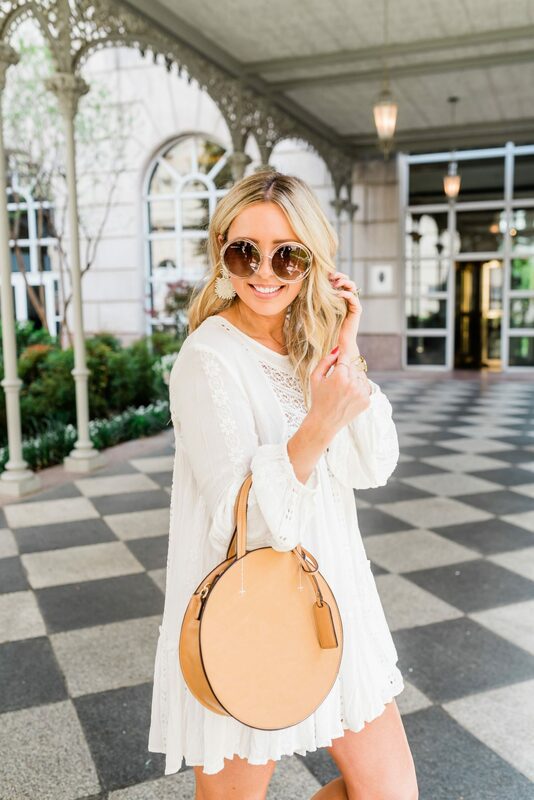 You are such an incredible community and I’m so grateful to connect with y’all daily, share my fave finds, bring awareness to melanoma, ootds, encourage y’all and hopefully you get a good laugh (at my expense). Thanks for being apart of my tribe. Since Easter is just around the corner, I thought I’d share my fave Easter options that are EGG-cellent. See what I did there…wink wink. These are options you can wear more than just on Easter. My #1 find for Easter is this white, balloon sleeve, eyelet dress, from Nordstrom. This can be worn as a dress or add pants and make it into a shirt. So, I guess it’s a 2 for 1 special! LOL Nordstrom’s spring line is SO good! 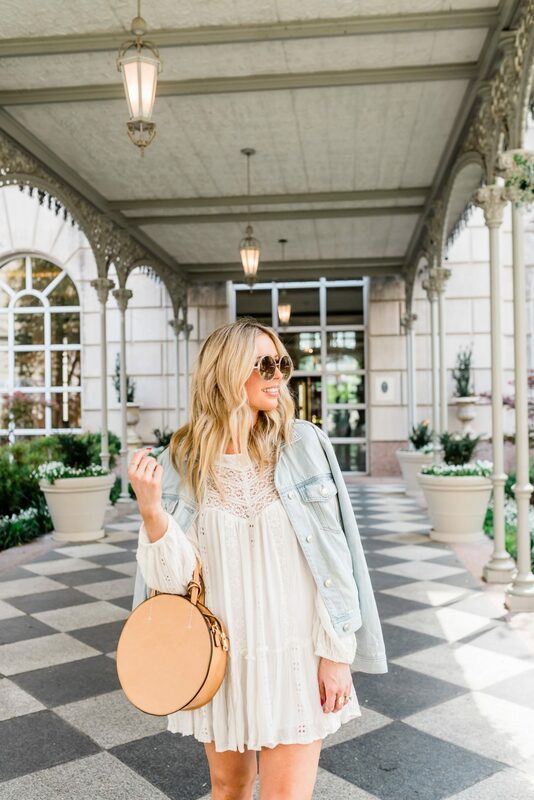 There are tons of perfect little white dress, jumpsuits and even blazer options that you can also wear to your next beach trip or any bridal event for all of you brides-to-be. If your personality is more colorful, then you will fall inlove with Nordstrom’s Leith & WAYF lines. I love these options under $100 HERE, HERE & HERE! If you feel more comfortable in a jumpsuit then these are some great options HERE, HERE & HERE! I love adding a simple blazer to a jumpsuit…it helps keep you warm in church and it can easily to jazz up a plain outfit. I have to say, jumpsuits are the piece of the season. Thanks Nordstrom for sponsoring this post. As always, all thoughts and opinions are of my own. Love all the options you shared! Yay! So glad they were helpful! Loooove this post! I needed help finding an Easter dress and now I have so many to choose from! Right! So many fun options. So cute! We have family pictures coming up and I got some great ideas! Awesome! Hope your family pics turn out wonderful girl.